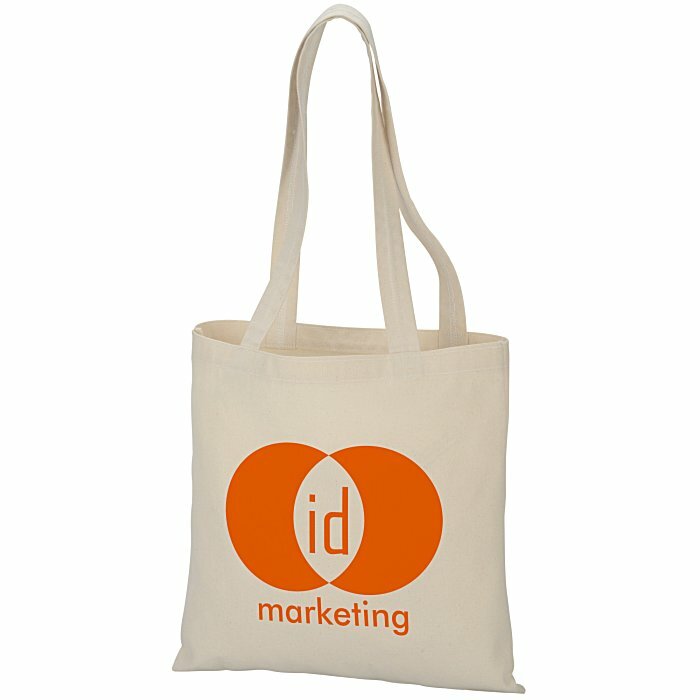 Stop squeezing your items into small bags, this promotional tote is large and in charge! Perfect for the daily commuter, it is just the right size for journals, notebooks, folders and binders. Tote is less bulky than the traditional backpack, it will do the trick without all the thick. Natural cotton canvas can easily withstand the daily bombardment of your books. Grab onto a pair of 26" carrying handles for either in-hand or over-the-shoulder carry.